Research in Motion has had piracy on its radar for a number of months. 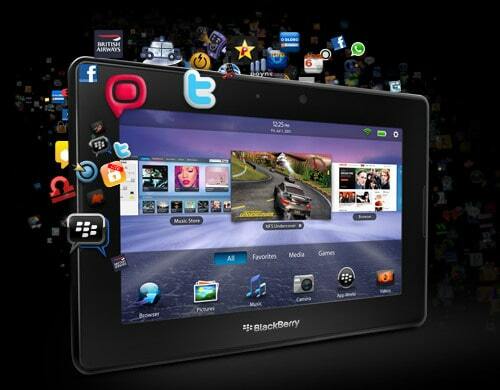 One of the largest concerns for the company in courting new developers for its BB10 platform has been piracy. The company has publicly stated on many occasions that Piracy is one of the things running rampant on the Android platform and they would do their darnedest to make sure their ecosystem does not turn into a cesspool. It seems that in conjunction with a major announcement that all App World purchases for the Playbook will be encrypted in the near future, a major Playbook pirate website was taken down. This website has been running for the last four months and specializes in apps and games ripped off from the Playbook App World. Their main priority was popular games such as the entire Angry Birds franchise, but basically had every single paid app available for free download on their website. This website was a thorn in the side of RIM in order to appeal to more mainstream developers to make apps for their own ecosystem. The company has made no public comment if they were the owns serving the DMCA notice to the owner of the website. RIM intends on implementing a new encryption system on their Playbook App World this July. In essence this will prevent people from pirating any new or exiting content from their store by disallowing anyone, but the purchaser from running in on their tablets. This will effectively nullify 3rd party websites that purvey pirated applications and games. Many people were blissfully unaware that PBVN.Net even existed but remained a constant source of disdain for RIM in their quest to lure more developers. The Waterloo company now realizes that in order for their market share to return to former glories they need to lure major apps like Skype, Pintrest, Temple Run and many more on their platform. When we talked with representative from RIM they said that many companies they spoke with were unwilling to develop for the platform because of rampant piracy and the ability to sideload in your own apps. RIM has confirmed that they will not disallow the ability to load in your own Android apps but they are working hard on their new encryption system to prevent future cases of piracy. Rampant piracy? Up until a couple days ago I didn’t know there was such a site out there lol No different than Apple or Android, seems a little less than the big two actually.